- Configuration. Double conversion on-line UPS with automatic by-pass and power correction factor. - Continuous power supply. Hot swappable batteries. 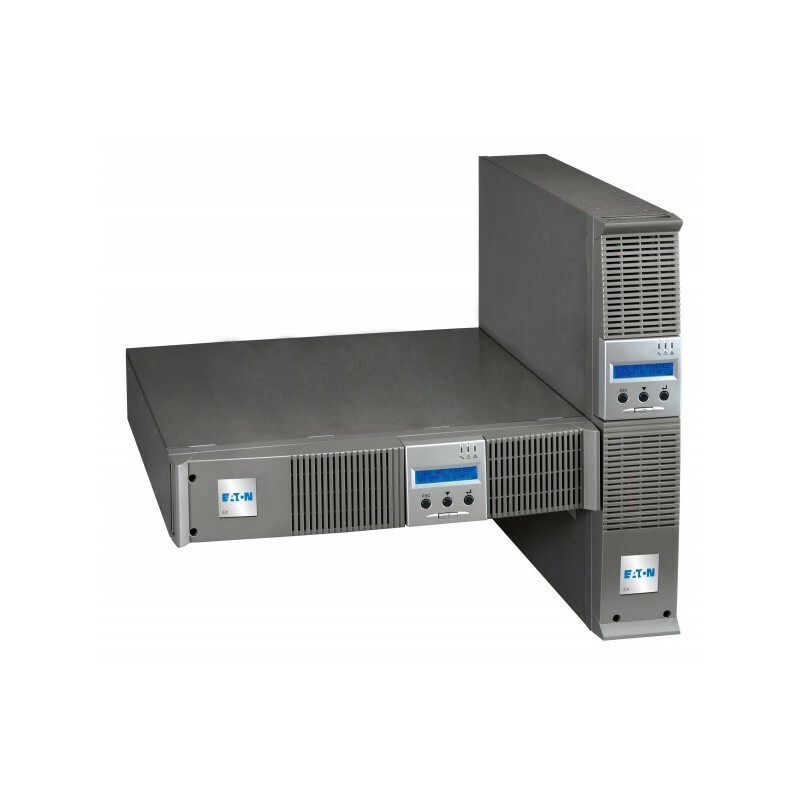 The HotSwap MBP (Maintenance By-Pass) module allows the UPS to be replaced without interrupting the power supply. - Redundancy. The ModularEasy kit makes it easy to parallel 2 standard Pulsar M UPSs (N + 1 redundancy). - Powershare. The Pulsar output sockets are individually controlled to provide load-shedding to maximise the backup time. It also provides remote reboot and sequential start-up as standard. - Long backup times. 1 to 4 EXB battery units can be added to the Pulsar M. The Pulsar 3000XL has a built-in high speed charger for additional long backup times. - ModularEasy kit. 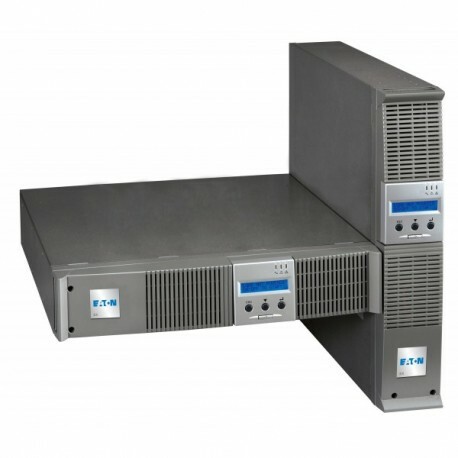 A simple, low cost solution for uprating by adding a second standard UPS. - Easy operation. Multilingual display. Access to a wide range of measurements and set-up menus. - Remote supervision. A wide range of options using the Solution-Pac supplied: SNMP and HTML, (Network Managed Card included with Netpack versions), ModBus/JBus and relay outputs. Pulsar M has unmatched flexibility. - Format. Pulsar M is available in RT2U convertible rack/tower version (optimised for rack mounting) or RT3U (for tower or shallow rack). - Connections. With FlexPDU and HotSwap MBP the Pulsar M can be connected by sockets or terminal blocks. They can be installed as required behind, on the side or on top of the unit. - Compatible with low power factor loads. Pulsar M is rated for 0.9 total power factor (3000VA/2700 W and 2200VA/1980W). - Interfaces. USB + serial + remote start/stop + slot for optional communications card.